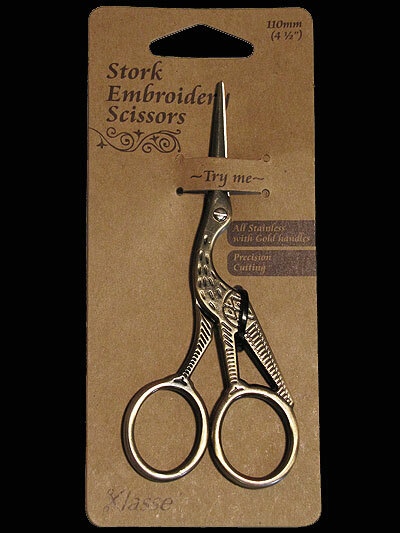 110mm (4.5") embroidery scissors in a stork shape. All stainless with gold handles. Fine points allow precise cutting. Adjustable tension joint. Handy scissors for snipping threads.